Last week I went on vacation with the family up to Niagara Falls, Ontario. 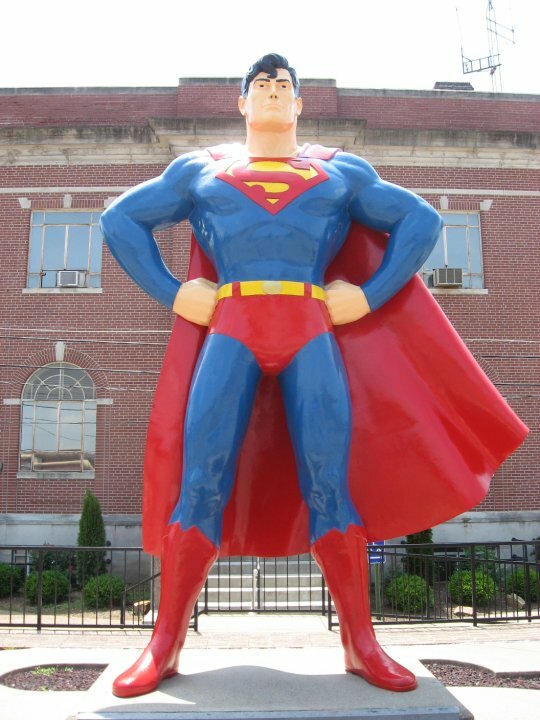 (sorry for lack of posts last week) While around Niagara Falls, I couldn’t help but think about my favorite superhero film, Superman II. 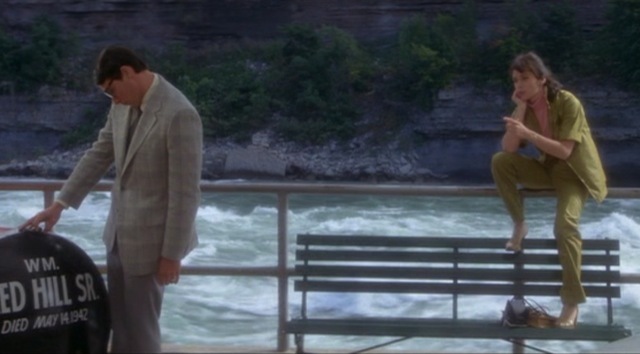 In the late ’70s Richard Lester filmed parts of Superman II up in Niagara. Looking on the web there has never really been a discussion of this location. In the film Clark and Lois head up to the falls on assignment to research honeymoon locations. Two scenes were filmed in the area. The first is by the falls where Superman saves the stupid kid playing on the outside railings. The second is where Lois tests her theory that Clark is Superman. That scene takes place in the White Water Walk a few miles from the falls. Lois Lane, I am curious (BLACK)! Disclaimer: We are not getting preachy. We found this bit of comic book history to be a bit absurd, so we’d like to share it with you. However, it does deal with a sensitive topic, and may use language that could be found objectionable on a pop-culture web site. This is also an older article I wrote a few years ago. I thought I post it again in the new MPB format. Enjoy! Browsing through my local comic book store I decided to check out a box of Superman’s Girl Friend Lois Lane. Flipping through the issues I ran across issue no. 106 entitled I am curious (BLACK)! 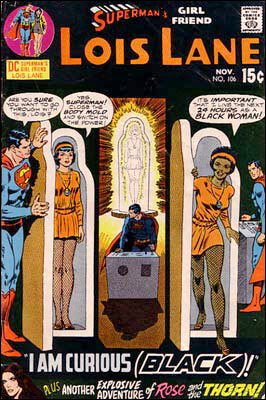 The cover depicts Lois Lane placed into a machine. Superman flips a switch and Lois magically transforms into a black woman for 24 hours. Realizing that this is the ultimate in cheesy comics I had to pick it up. 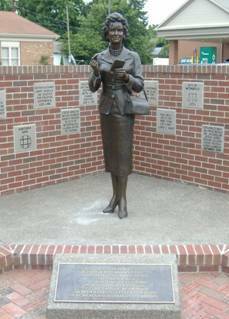 …continue reading Lois Lane, I am curious (BLACK)! Comments: Comments Off on Lois Lane, I am curious (BLACK)!